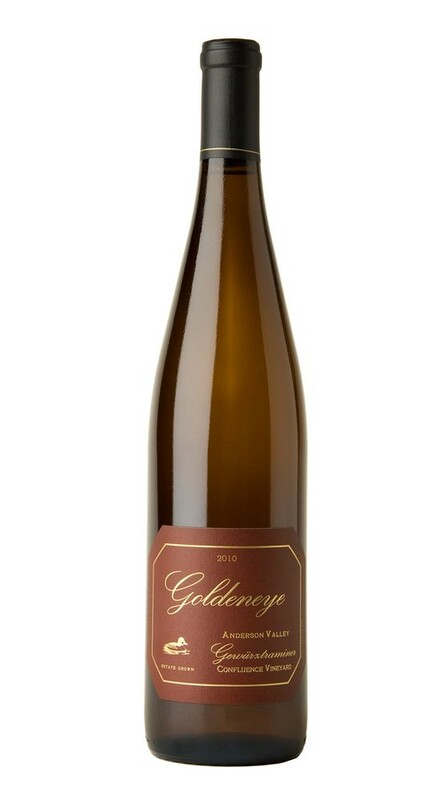 The cool, windswept climate of the Anderson Valley is perfect for growing a fresh, vibrant, low-alcohol style of Gewürztraminer. This wine showcases lychee-driven tropical fruit notes with supporting layers of baked fig, orange blossom and petrol. The palate is divine, with intense acidity offering structure and contrast to the off-dry style. The season began with a wet winter and spring. Despite the rain, and cool temperatures that lasted into summer, we saw very little shatter. In the vineyards, we adjusted farming practices to compensate for the weather, with extra leaf pulling and vineyard-floor cultivation. The crop required little-to-no irrigation, as the flourishing vines were not stressed by significant heat events. We enjoyed an ideal dose of hot weather in late August that allowed the vines to focus on ripening. Harvest began on September 14, and we picked our Estate vineyards block by block. The majority of the grapes came in at slightly lower Brix, contributing to intense, structured and perfectly balanced wines.